More than 800 West Virginia girls now run for fun twice a week for eight weeks after school in Girls on the Run, a volunteer-run afterschool program. They train for their own 5K. The program includes a strong character-building / team-building component. 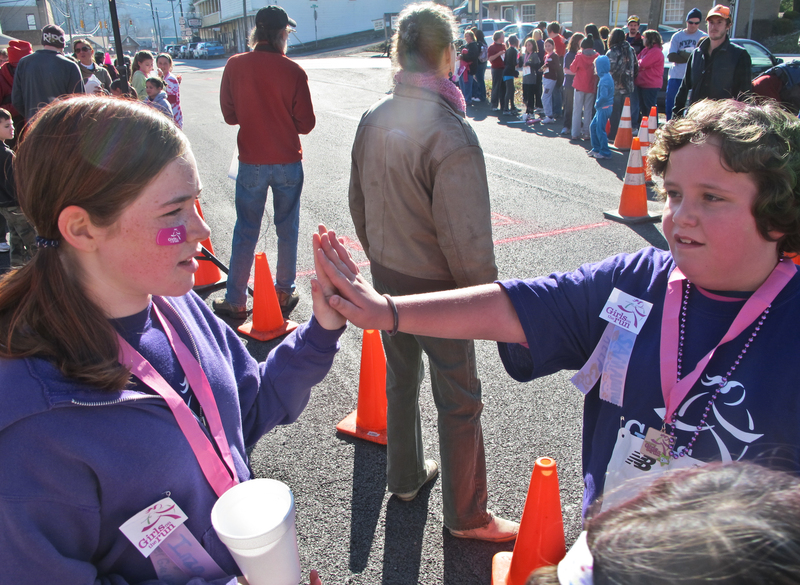 “If we can get a girl loving to run, her health’s going to be protected, possibly for the rest of her life,” said volunteer Elkins program organizer Terry Evans. 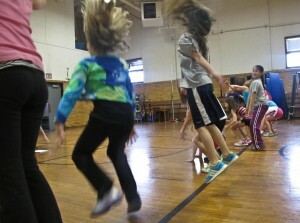 Some programs offer spring and fall sessions. Others offer the program once a year. 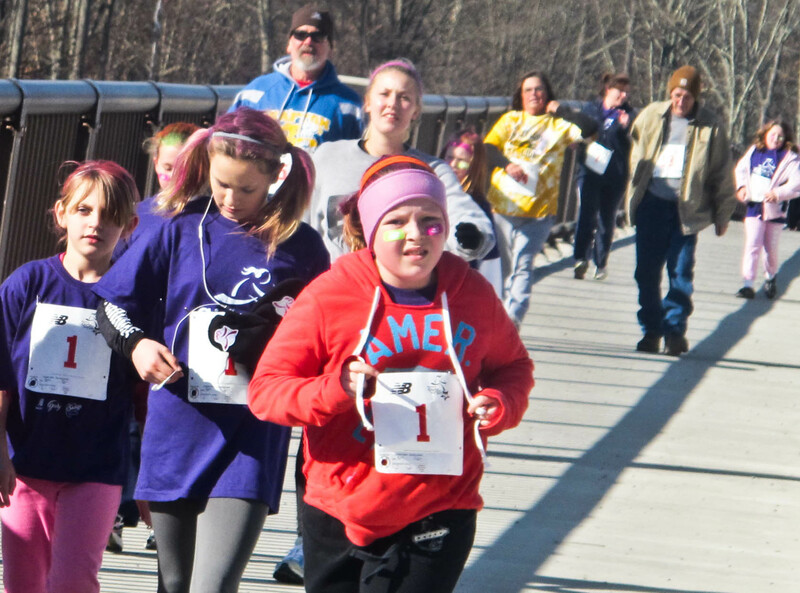 Want to start a Girls on the Run chapter? It costs $7,500 to start a council, so, rather than starting your own, you may want to explore the possibility of affiliating with an existing council. There are three approved councils in West Virginia: One serves Cabell and Wayne Counties, another serves Northcentral West Virginia, and one serves Southern West Virginia (Mercer, McDowell, Mingo, so far). If you want to start another council in your part of the state, you may want to partner with two or more other counties. The North Central council has secured sponsors – businesses and health care organizations – that help pay their yearly expenses. Think about what businesses might sponsor you in your area. 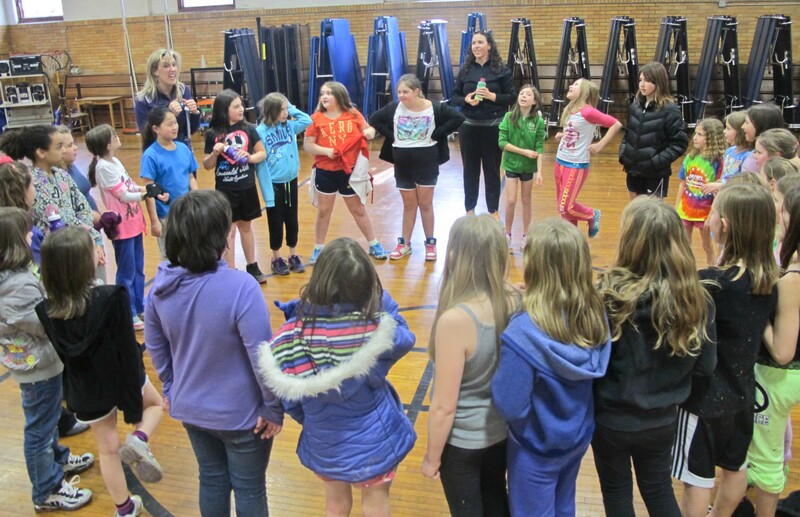 A GOTR session lasts 10 – 12 weeks. Each session includes character-building exercises (responding to bullying, being helpful to others, non-competitiveness, etc.). The girls learn stress reduction techniques, as well as safe walking/running skills. You will need enough coaches to have at least two coaches present each of the eight sessions. Most programs have at least four coaches, since there will be weeks when a given coach can’t come. A school or other location with safe indoor and outdoor places for girls to run must agree to house the program. Most GOTR programs in WV operate after school, based in a school building, often rent-free. If you want to start your own council. 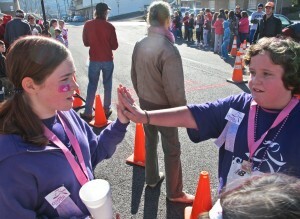 See the National Girls on the Run Web site: www.girlsontherun.org. 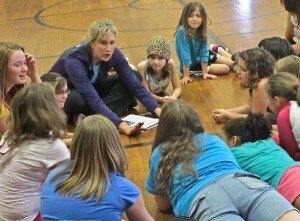 At the end of a session at Faytteville Elementary, girls come together for a closing ceremony.